The control flow graph is the basis for many code optimisation and analysis techniques. We introduce a new framework for the construction of powerful CFG-based representations of arbitrary Ada programs. 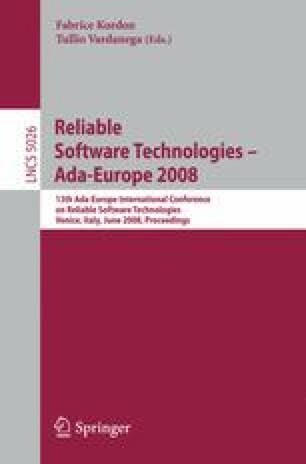 The generated data holds extensive information about the original Ada source, such as visibility, package structure and type definitions and provides means for complete interprocedural analysis. We use ASIS-for-GNAT as an interface to the Ada environment and extract the needed information in a single traversal of the provided syntax trees. In addition, further refinement of the resulting data structures is done.